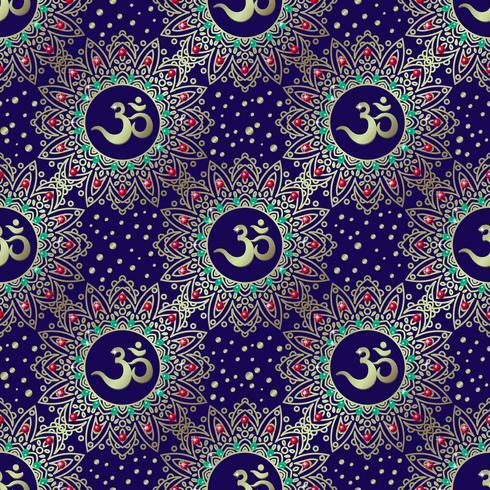 Om symbol seamless pattern. Vintage Gold on blue, indigo background. Buddhist motifs yoga, meditation, spirituality.